← Meet our newest Board Member: Meredith Meyer! REU (Research Experience for Undergraduates) programs are a way for students to get involved in scientific research while in college. They typically take place over the summer at universities and national labs across the United States. Participants get to travel to another location to work on their REU project, and they are provided housing and a small stipend for the duration of the program. Students interested in science that do not have research opportunities at their home college (some small liberal arts colleges, for example) are especially encouraged to apply for REUs. 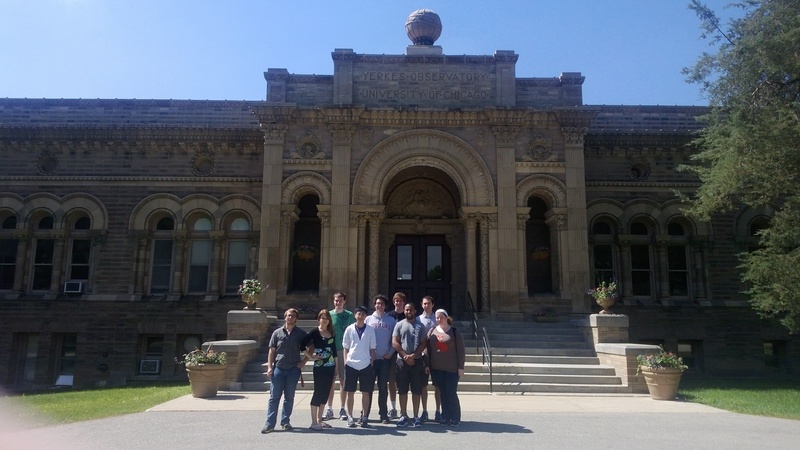 Last summer I stayed at Ohio State to do research in the Department of Astronomy through a program called the Summer Undergraduate Research Program (SURP). You can read about my research experience at SURP here. This summer I traveled to the University of Wisconsin – Madison to participate in the REU program in their astronomy department, and it was a whole different experience. 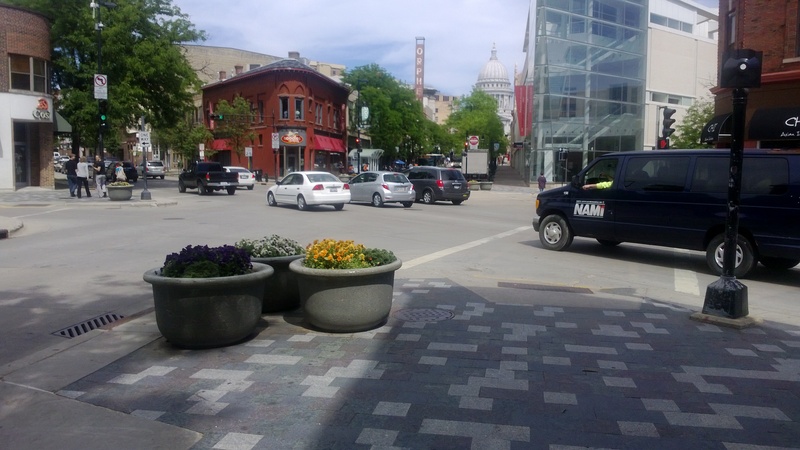 Here are five ways that I made the most of my summer research experience in Madison. The people I spent the most time with over the summer were the 8 other REU students at UW – Madison. I got to know them on a professional level and a personal level. Most of us shared a working space in the undergraduate computer lab in the astronomy department, so we helped each other with programming problems and unfamiliar concepts at work every day. We were all housed on the same floor of an apartment complex near campus, so we hung out after work as well, watching movies and preparing group meals. The other students were all incredibly friendly, hard-working, and excellent researchers. Astronomy is a small field, so I’m sure our paths will cross again in the future, and I look forward to it. My REU project was about the properties of galaxies that are thought to host extensive gas outflows and accretion, a topic that I knew almost nothing about at the start of the program. I had to do a great deal of reading and ask a lot of questions to get up to speed, but in the process I learned a lot of new ideas and methods in astronomy. In retrospect, I’m happy that I got to work on something completely unfamiliar to me, because the REU wouldn’t have been such a huge learning experience for me otherwise. Starting on a new project also gave me the chance to consistently practice better research habits. I kept a journal of notes about my research methods, and kept track of the hours that I worked. I learned how to program in Python, which is a widely-used programming language in astronomy. All of these new ideas and skills that I learned will help me be a better student and researcher in graduate school and beyond. Madison is a gorgeous city situated in between two big lakes, called Lake Monona and Lake Mendota. The university is on the lakefront of Mendota, where local residents swim and sail during the warm summer months. 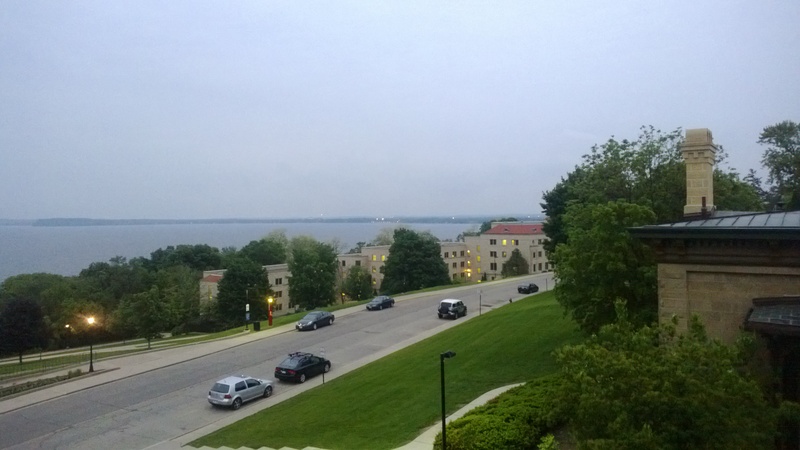 A view of Lake Mendota at dusk from the Washburn Observatory on campus. 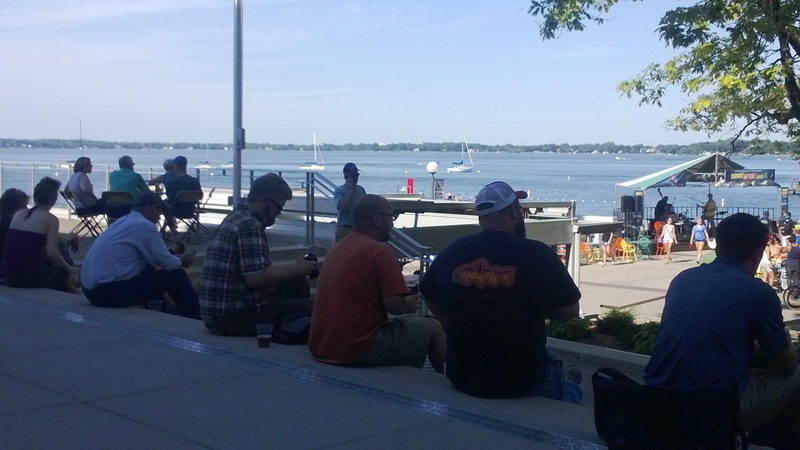 On Friday afternoons there were public concerts at the Memorial Terrace overlooking the lake, and every Saturday morning was the Farmer’s Market at the Capital Square featuring local produce and cheeses. I tried Wisconsin cheese curds, both the fresh and the deep-fried variety, and they were delicious. I also spent a lot of time window shopping on State Street, a cute pedestrian street lined with tons of little shops and restaurants, which leads from the university to the Capital Square. The Memorial Terrace on a Friday afternoon. Walking down State Street towards the Capital Square. One of my favorite places to hang out was a coffee shop down the street from our apartment complex called Indie Coffee. I went there on Sunday afternoons to catch up on my summer reading list and eat brunch. They had amazing waffles! 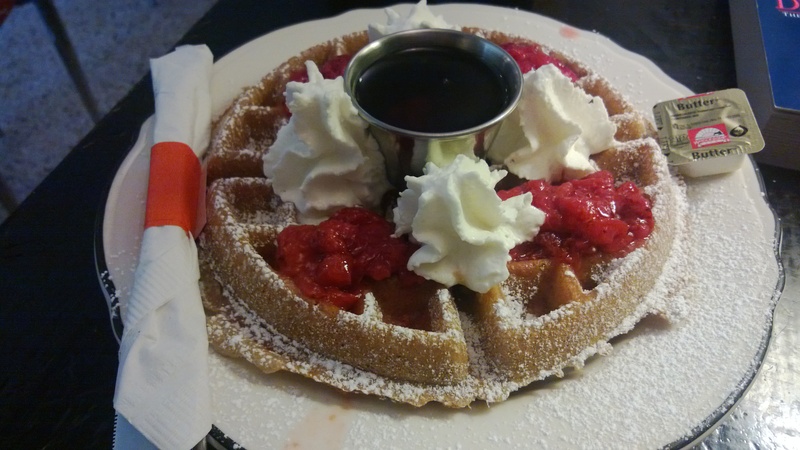 The Red & White Waffle at Indie Coffee. Outreach is particularly important to me as an aspiring scientist because I think it’s valuable to promote public interest in science and public understanding of science. During my summer in Madison, I had the opportunity to volunteer for a public outreach program called Universe in the Park (UitP). UitP was created by the Department of Astronomy at UW – Madison to teach the public about astronomy. Every summer they go to state parks throughout Wisconsin (where the sky is dark) and give a short presentation about a topic in astronomy, and then they set up telescopes for the public to view astronomical objects. As a UitP volunteer I got to travel to Wildcat Mountain State Park and show campers at the park what Saturn looks like through a telescope. We could see the rings and some of the larger moons very distinctly. I also answered questions about different stars and constellations, and a few questions about my summer research project. Doing public outreach has helped me learn how to better explain scientific ideas to people that don’t have a background in science. Everyone in the Department of Astronomy at UW – Madison went out of their way to get to know us and make us feel welcome over the summer. My research mentor, Dr. Britt Lundgren, was exceptionally nice and approachable, and I loved working with her. She gave me tons of advice about my research and about my career path, and was always helpful when I ran into problems with my project. The graduate students invited us to their social events and gave us advice about preparing for graduate school, and the other professors and scientists gave us advice about research and the job outlook in astronomy. It gave me a positive outlook on the culture of the field to experience how friendly and welcoming everyone was. I’m very grateful to the Department of Astronomy at the University of Wisconsin – Madison for hosting me this summer, and for making my experience both fun and a valuable learning experience. I am in my fourth year as an undergraduate studying physics and astronomy at The Ohio State University. I grew up in the beautiful coastal mountains of Oregon but moved to the midwest for college. Outside of class, I serve as President of the Society of Physics Students and Vice President of the Astronomical Society at OSU. I also love to read science fiction in my spare time. After I graduate from Ohio State, I plan to work towards a PhD in astronomy. Feel free to contact me by leaving a comment! I am considering attending this program. Could you tell me more about the housing. Are they single rooms? Are the bathrooms communal or are there any that are separate and can lock? How far to the building you worked in? Also did you go away on weekends or have field trips?